Ned Presnall, MSW is a licensed clinical social worker who works with older adolescents and adults, couples, families, and groups. He received his Master’s degree in Social Work from Washington University in St. Louis. He has worked as a therapist at the UMSL Center for Trauma Recovery, treating Post-Traumatic Stress Disorder, and as a therapist and clinical director at Assisted Recovery Centers of America, a treatment center for addiction and co-occurring disorders. 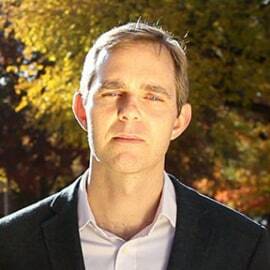 Ned is a research collaborator at Washington University’s Department of Psychiatry and a clinical trainer in the provision of Medication Assisted Treatment for addiction.